There is a shop in Ambleside that sells t-shirts that have ‘Old Guys Rule’ printed on them. Besides prioritising cutting my nails in a Kenwood mixer before being seen dead in one of these t-shirts, the message is demonstrably untrue. Especially when it comes to Cyclocross. After the season ended for me in early January, I took a few weeks off to recharge the batteries and get over the illnesses and injuries that seem to arise when you take your foot of the gas. I’m back on it now, but each year getting back to the training gets harder and the temptation to call it quits half way through a session, or give up on a hill gets harder to resist. You ask yourself what’s it all for ? If I get my training right, I may gain another place or two, assuming the people racing around me stay static in their fitness. After some years I know where I am on the ability curve. Nothing I do will nudge me along to the Nick Craig/ Ian Taylor level of accomplishment. Even these most talented of Vets would, I think, hesitate before thinking they could win outright in an open competition against the cream of the seniors. Not that they wouldn’t give it a serious go and have the believe in their ability to win that must come with racing at that level. At the start of the season just gone, there was some talk on twitter about the upcoming season and the inevitable clash between the older generation and the new boys stepping up to elite level. Sven Nys called it the ‘Battle of the Generations’. The early races were fairly evenly matched as I recall (in my clearly unresearched opinion). Then MvdP won and started winning. Wout Van Aert did the same. Then Sven started dropping down the order, before declaring himself sick (possibly) and heading off to Mallorca and coming back not much better. A fair way into the season, no one was talking about the battle of the generations anymore because the old guys were getting their asses kicked. I watched the Worlds in awe of McdP and WvA. 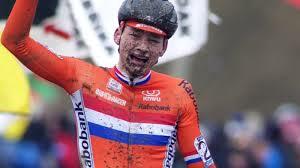 Van Der Poel went to the front and didn’t appear to let up for an hour. I’d love to see his power and heart rate files from that race, because I didn’t see him taking a break or needing too. If that wasn’t dispiriting enough for the chasers, then spare a though for the likes of Tom Meusen, Klass Vantournout and Sven Nys. Van Aert crashed badly AND dropped a chain (probably twice) but was able to overhaul all of these world class racers as if they were standing still. Obviously this was a particular race (although you would have thought it was a race all of the leading contenders had tried to peak for) and I’m sure it’s not over for the old guard and they will continue to win/podium/place next season. But ‘Old Guys Rule’ ? I don’t think so.